Every month, I have the great honor of interviewing one of the fabulous boys or young men in Irish dance. This month, I chatted via e-mail with sixteen year old Neil Roberts of Johannesburg, South Africa. Neil studies Irish dance with the Duncan Studio. Neil began dancing at the age of six after watching his older sister and mom Irish dance from the sidelines. 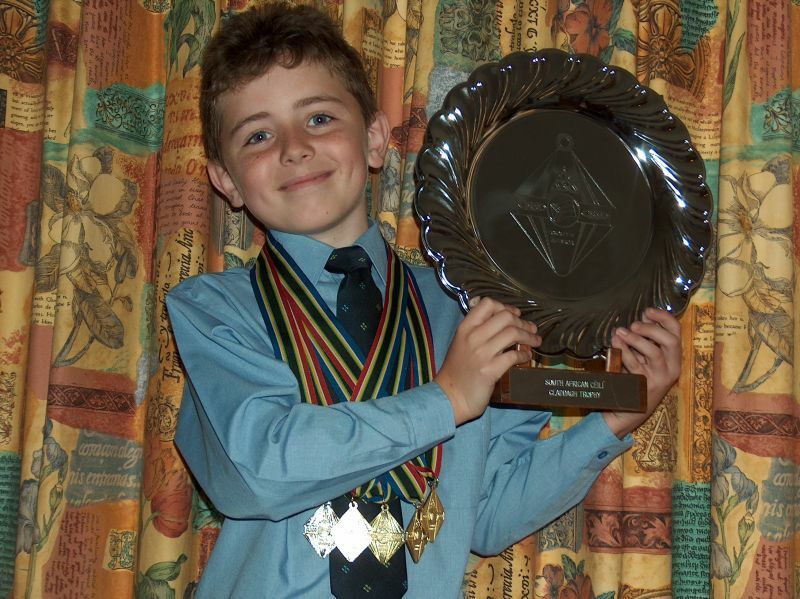 When he saw his sister winning trophies at Irish dance competitions, he thought he'd like to try and get some of those for himself. DMW: Hi, Neil. Do you have any nicknames?? Neil Roberts: Danny (as in Danny Zuko of Grease), because of a leather jacket I wore at All Irelands one year. DMW: Any Irish dance siblings? Neil Roberts: My sister did Irish and Highland dancing for many years. Neil Roberts: I want to be the best male Irish dancer in my country. Neil Roberts: My plan is to Take a "gap year" after school and tour the world with one of the big shows. 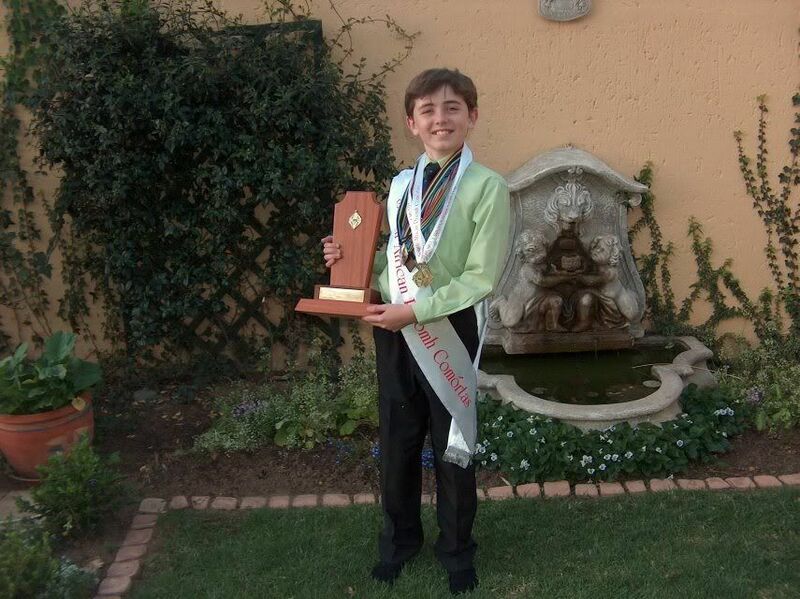 The first time Neil won the South African Championships. Neil Roberts: The South African Irish Dance Championships is my favourite, but that’s a major, so I’ll say the Leeuwkop Feis. It’s the biggest one here, and it is organised by my studio, Duncan Studio of Irish Dance. My whole family is involved in the planing and the running of the feis. Teenage professional Irish dancers - Joey and Clare Roca in "Rhythm in the Night"
Neil Roberts: I love "Downfall of Paris". DMW: What brand of hardshoes do you wear? Neil Roberts: I’ve tried many brands, but my current Rutherfords with the holes through the soles are my favourites ever. Neil Roberts: Qualifying for the World Championships every year since I first attempted it, and my solo recall at All Irelands. 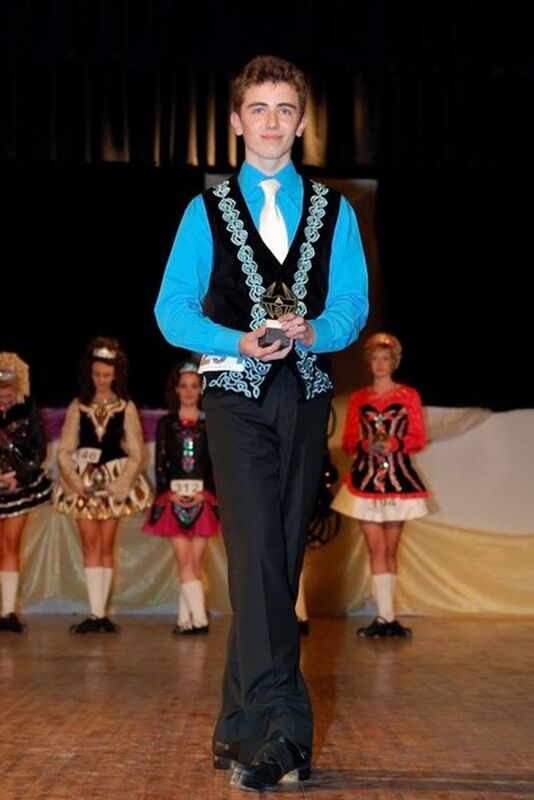 It was also a great honour to be a finalist in the Irish Dancing and Culture Magazine’s 2011 Man of the Year competition. DMW: What is your best Irish dance memory? 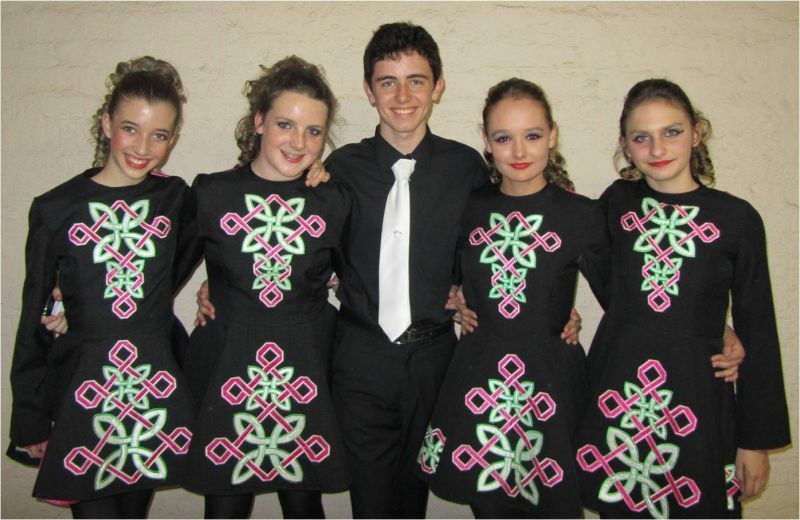 Neil Roberts: Competing in Ireland for the first time (at All Irelands in 2010), but we make great memories every time my dance friends and I travel overseas together. DMW: What is your competitive level in Irish dance? Neil Roberts: In the U.S. I'd be considered an Open Champion Irish dancer. The terminology is a bit different here. In South Africa, my level is Ard Grad which is the same thing. DMW: Do you know of any differences in Irish dance between how things are done in the U.S. and how it's done in South Africa? Neil Roberts: There aren't as many boys in South Africa, although in my Irish dance school there are at least 15 boys Irish dancers. 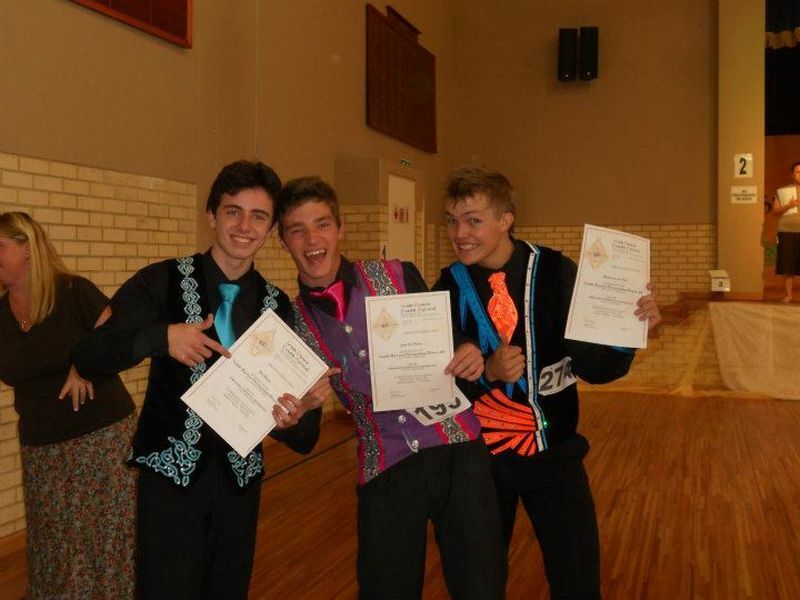 We have the most boys of any Irish dance school in South Africa. Because there aren't that many men or boy Irish dancers, I've been dancing in "Men All Ages" competitions since I was 13 years old. DMW: In North America, to qualify to compete at the World Irish Dancing Championships, dancers must compete and place well at their regional Oireachtas championships. Congratulations on qualifying every year since you first attempted!! Such a great thing! How do your qualifying competitions work in South Africa? Neil Roberts: Irish dancers dance in their own age groups, boys and girls, separately. The dancer can only qualify to compete at the World Irish Dance Championships if they place high enough as determined by the panel of judges. There are not enough dancers to work on qualifying through percentages. DMW: Any injuries that have made you stop or slow down in Irish dance? Neil Roberts: I’ve been lucky enough never to be seriously injured. I do Pilates once a week to try to strengthen the correct muscles. DMW: Who made your current waistcoat/vest? Neil Roberts: A local seamstress and dear friend of my mum’s, Averil Barker. My sister designed it. Neil Roberts: Sorry, I can’t name just one. I love Hans Zimmer, Swedish House Mafia, Nickleback, Coldplay, One Republic and local groups Locnville and The Parlotones. Neil Roberts: I enjoy cross country and road running, tennis, and soccer. I want to take up Kung Fu, as I enjoyed karate very much when I was a little boy. In South Africa kids are very involved in outdoor sports after school every day, all year round. DMW: Do you play any musical instruments? Neil Roberts: I take music as a subject at school and love to play many different instruments, but I specialise in blues guitar. Neil Roberts: We have two cats, two budgies, and recently, we adopted a crazy terrier named Finnegan from the SPCA, who is my running partner. DMW: Best advice you can give to boy Irish dancers who are wanting to become champion level dancers? Neil Roberts: Keep at it – when you start doing well, don’t think you can sit back and relax. Boys are competitive, and there will always be someone trying to beat you. Neil Roberts: Awesome. That was a joke. I don’t know yet, but I’d like to be on a stage. If you're at an international Irish dance competition, look for Neil. 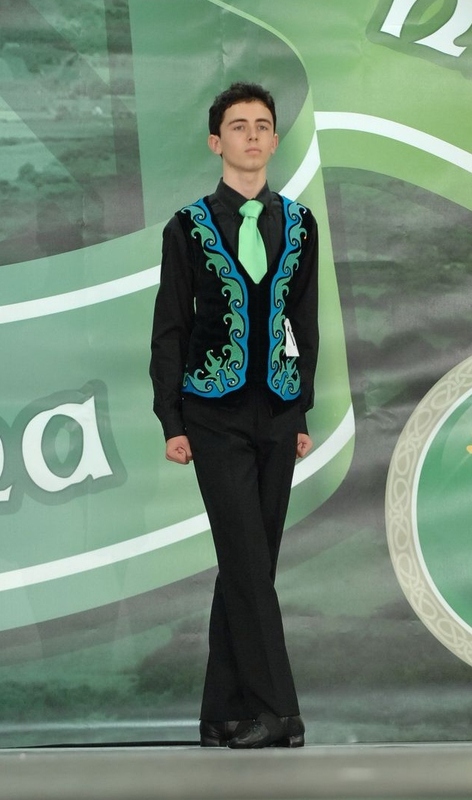 He has been traveling overseas with his teacher and Irish dance schoolmates since he was 13 years old and attended his first All Ireland Irish Dancing Championship. So far, he has competed at two World Irish Dancing Championships. When he has traveled overseas for major competitions, Neil and the other dancers try to do some Irish dance classes and a local feis (Irish dance competition) or two while they are there as well. Because of his travels with Irish dance and the encouragement of his Irish dance teacher on the trips, Neil has gotten to do a lot of exploring and sight-seeing while traveling abroad. Neil shared that the trips are always wonderful experiences even though it means lots of catching up at school when he returns. Neil has made many friends in Ireland both with the Irish as well as Irish dancers from around the world. Many of his friends are here in the United States. They all love to see each other when they travel. He has found that everyone that he has met in the Irish dance world has been very kind to him and the other South African Irish dancers. Neil also mentioned that he very much enjoyed and feels very fortunate to have been able to take part in the workshops he's gotten to do with "Lord of the Dance" and "Riverdance" dancers when they've come to South Africa. Neil Roberts: Thank you so much for interviewing me. DMW: Thank-you so much, Neil for answering all of my questions. I wish you great success and can't wait to hear about your "gap year"! I hope you find your way to the Irish dance stage and have a fabulous time once you get there!